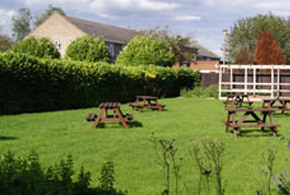 We are ideally located in the main high street of the market town of March, Cambridgeshire. The local railway station is a 15 minute walk away, or if you are traveling by car we have ample free parking. 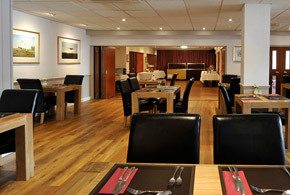 Our hotel provides facilities to the highest standard that our guests have come to expect from us. 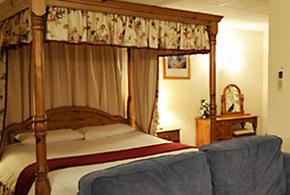 All our comfortable bedrooms are spacious, light and airy with individual air-conditioning. 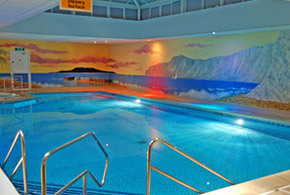 We also include free membership, while you are staying with us, to our leisure facilities within the hotel. 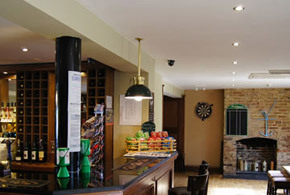 The Anchor Inn is a traditional village Pub, bed and breakfast and restaurant thats the ideal place to enjoy a drink with friends and family, to have a bite to eat whether lunch or dinner or maybe a place to stay for the night . Fun in the Fens at award winning Fourwinds Leisure B&B and campsite. Located just outside the pretty market town of March and surrounded by open farmland, big skies and wonderful sunrises and sunsets. Our property backs onto the Old River Nene, giving our guests access to one of the Fen’s gentle waterways. Our 3 room Quality in Tourism 3 star silver bed and breakfast caters for families, couples or singles and our 15 pitch campsite has electric hook up, showers and loos, camp fire pits and lots of room to relax. You can also hire a canoe or fish from our mooring or arrange an archery lesson onsite.